THE UK government's plan to leave the European Union is facing a legal challenge from prominent figures in Northern Ireland, where a majority voted to remain in the EU. A cross-community coalition of politicians and human rights activists has written to Prime Minister Theresa May insisting that before she triggers the mechanism to leave the European Union, she must address legal obligations relating to Northern Ireland and to the peace process. Failure to do so will see a High Court challenge launched by a group including leader of the Alliance Party and former Northern Ireland justice minister David Ford, former Sinn Féin education minister John O'Dowd, leader of the nationalist SDLP Colum Eastwood, and leader of the Green Party in Northern Ireland Steven Agnew. The other applicants are Dessie Donnelly Director of Development with the Participation and the Practice of Rights group, former Assembly member and one time leader of the loyalist Progressive Unionist Party Dawn Purvis, plus disability rights activist Monica Wilson OBE. They are joined by prominent human rights group, the Committee on the Administration of Justice. 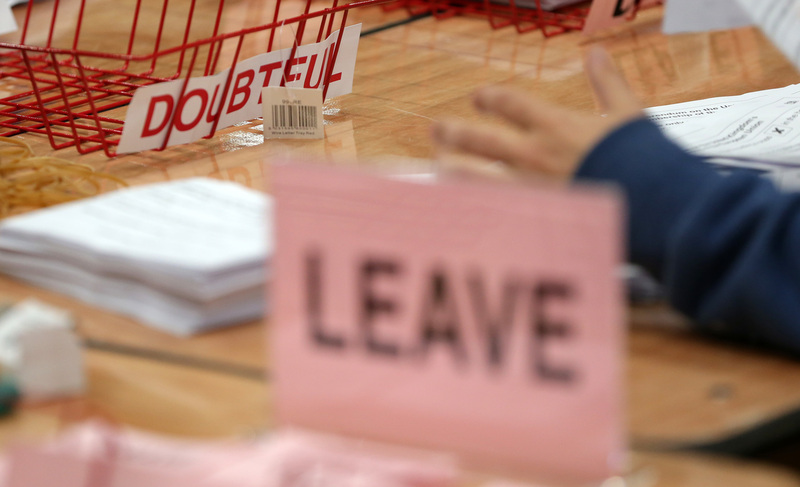 On June 23 a UK referendum supported leaving the EU, however voters in Scotland and Northern Ireland opted to remain. Northern Ireland's two largest political parties are divided on the issue, with the DUP supporting the decision to leave and Sinn Féin opposing it. The court challenge will cite a series of legal issues but it will also raise Northern Ireland's unique constitutional status which some have argued could be threatened by Britain's exit from the EU. Lawyers handling the Northern Ireland legal challenge said: "All our clients’ rights and interests are affected, in different ways, by the United Kingdom giving notice under Article 50 of the Treaty on European Union to the European Council of its intention to withdraw from the EU. "The purpose of our clients’ correspondence is to put the Prime Minister and the Secretary of State for Northern Ireland on notice of their intention to apply to the High Court in Belfast for leave to apply for judicial review, if the Prime Minister fails to commit to comply with the UK’s constitutional and legal obligations in deciding whether and when to trigger Article 50. "These obligations include safeguarding the unique requirements of Northern Ireland constitutional law and statute, in particular the statutory recognition of the Belfast-Good Friday Agreement, and satisfying the requirements of EU law incorporated into the law of Northern Ireland by the European Communities Act 1972." The legal move comes as Theresa May visits Northern Ireland today for the first time since becoming Prime Minister. The group is raising a series of legal issues and also calls for consideration to be given to the democratic will of the Northern Ireland electorate, as well as Northern Ireland's unique constitutional arrangements - a reference to the terms of the Good Friday peace agreement. The 1998 agreement helped to end the violence of the Troubles and was ratified by a referendum held on both sides of the Irish border. 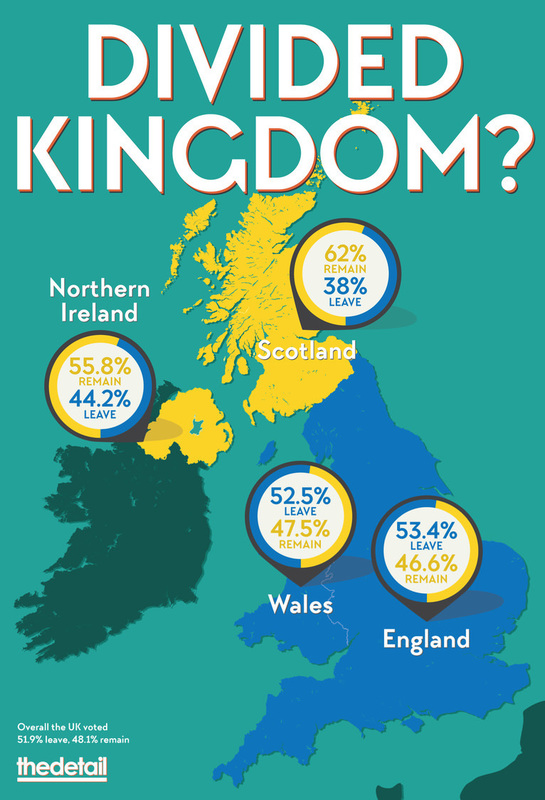 It entitled Northern Ireland's population to both British and Irish citizenship and created formal government links between the Stormont Assembly and the Irish Republic - which is to remain an EU member state. The legal team's statement added: "The Prime Minister and the Secretary of State for Northern Ireland have been requested to respond within two weeks. "A further statement will be made on behalf of our clients when that period has elapsed. No further statement will be made until then." First Minister Arlene Foster, whose Democratic Unionist Party campaigned to leave the European Union, supports the Prime Minister's position to implement a 'Brexit' - a British exit from the EU. Sinn Féin's deputy First Minister Martin McGuinness has vowed to oppose Brexit, citing potential damage to the economy, the loss of EU funding, and fears over the implications for the Irish border and the peace process. Stormont has been gridlocked on the issue because Mrs Foster and Mr McGuinness, as joint holders of the Assembly's top office, have a mutual veto over any political action. Sinn Féin president Gerry Adams called for a border poll on Irish unity in the wake of the UK referendum result, which is also a provision of the Good Friday agreement. Taoiseach Enda Kenny said the complex political circumstances on the island of Ireland should be factored in to EU negotiations. The Northern Ireland representatives challenging the government have identified a series of legal obligations they argue must be satisfied before Article 50 can be triggered, including the possibility of a requirement for agreement from the Northern Ireland assembly. They also raise elements of international law and European law that underpin a broad range of issues that relate to the peace process. "Our clients envisage seeking judicial review of these issues, and referral of the EU law questions by the High Court to the Court of Justice of the European Union, if the Government fails to commit to adopt urgently a comprehensive process that complies with UK constitutional requirements, including the requirements of Northern Ireland constitutional law and statute, and the requirements of EU law," the group's lawyers said. :: Bringing forward legislation in parliament authorising the giving of a notice under Article 50.
:: Observing the need for a legislative consent motion to be carried by the Northern Ireland Assembly before such legislation is enacted. :: Only trigger Article 50 in a way which gives effect to Northern Ireland’s unique place within the UK and to the statutory recognition of the Belfast-Good Friday Agreement; and after properly taking into account all relevant alternatives to exiting the EU and not giving undue weight to the results only of this referendum. :: In addition, the Northern Ireland Office (NIO) is specifically requested to commit to providing advice to the UK Government on the giving of notice under Article 50 only after full compliance with section 75 of the Northern Ireland Act 1998 and the NIO’s own Equality Scheme.